Need a little extra charm in your life? 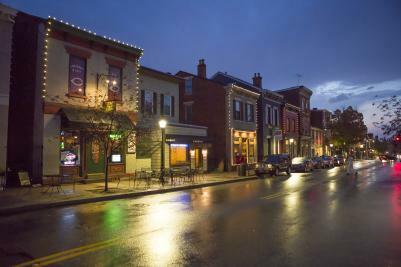 Visit Covington, Kentucky’s MainStrasse Village and you’ll find yourself surrounded by it! Between 1840 and 1845, Covington’s west side experienced a population boom when an estimated influx of 200+ German and Irish immigrants arrived, doubling Covington’s population in just five years. The German influence led to what is now known as MainStrasse Village. This historic district of quaint buildings, shops, pubs, restaurants, homes, and parks have been restored to look much as they might have in the mid to late 1800’s. A variety of architecture line the streets, with mosaics and gingerbread woodcarvings sprinkled in here and there. Whatever you choose, there’s no better time to visit Mainstrasse Village than the holidays! And be sure to use #NKY so we can share in your adventure.